Rihanna just announced that fans will be able to get their hands on a physical copy of her latest album Anti on February 5th. 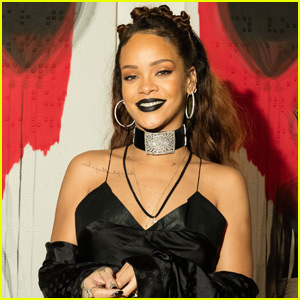 After the album was leaked online earlier this week, Rihanna released the album for free on Tidal on Wednesday night (January 27). One million fans got the chance to download Anti for free before the complimentary code expired. Mariah Carey FINALLY Opens Up About Her New Engagement, Upcoming Wedding, & That Massive Ring! Blac Chyna Arrested After Getting Drunk On A Flight! Posh Or Nothing: Melanie C Refuses To Do The Spice Girls Reunion Tour Unless Victoria Beckham Joins! Leah Messer Breaks Her Silence: Is She Blaming Corey For Trying To Hurt Her? Prince Generously Funded Charities And Mentored Artists ANONYMOUSLY! WATCH HERE! Hilary Duff Debuts New Bubblegum Pink Hair! Michael Fassbender's 'Macbeth' Official Trailer Released – Watch Now! Mariah's Show Is Better Than J.Lo's In Vegas! David Bowie's Son Lets The World Know EXACTLY How He Feels About Lady GaGa's Tribute To The Late Singer!